Strong foreign currency sales in the first quarter of 2017 provide encouraging evidence of a continuing appetite for overseas holidays, according to Post Office Travel Money. Currency sales made online for the year to March 31 rose by 55% and 47% so far for April over the same periods in 2016. The April surge comes at a time when sterling has recovered from its 2016 low point last October. 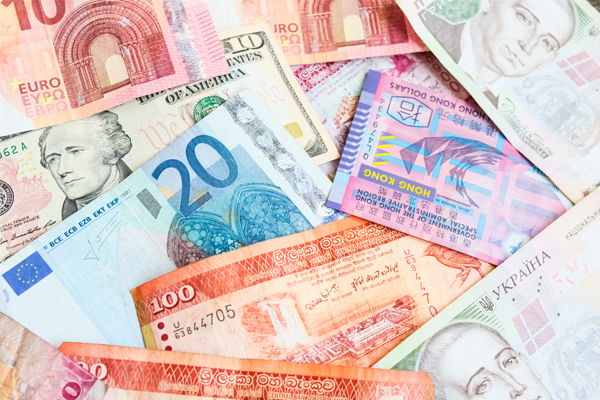 The UK’s largest provider of foreign currency reports that only two of its top 40 bestselling currencies currently remain stronger against sterling than six months ago. January-March sales of the euro, its bestselling currency by far, were up by 6%. However, there have been bigger increases for other European currencies – most notably the Turkish lira with a 46% rise. This suggests the country is recovering from depressed holiday demand last year as currency purchases are now close to January-March 2015 levels. Sterling’s strength against the lira – up almost 15% year-on-year and 25% on October 2016 – could also be a factor, according to the Post Office. Meanwhile, sales of the Bulgarian lev have surged 33% to make it the fifth fastest growing currency. Croatian kuna sales are also on the rise – up 18% – for the sixth year running. Two-thirds of currencies in the latest Post Office chart of 20 showing the biggest growth in 2017 are for long-haul destinations. Sales have risen 60% year-on-year for the Indonesian rupiah, which has moved up from fifth place last year to top the chart now. Two other Far Eastern currencies have also gained ground – the Malaysian ringgit (up 33%) and Vietnamese dong (up 17%) – suggesting Bali, Malaysia and Vietnam are attracting more tourists at the expense of Thailand, where sales of the Thai baht have fallen. Andrew Brown, of Post Office Travel Money, said: “Sterling’s recovery comes at a good time as the holiday season gets underway in earnest but it is also true that there was no sign of a slowdown in currency sales in the first three months of the year when the pound was weaker. This is a clear indication of how resilient consumer demand is for foreign holidays. “We have seen healthy levels of growth in sales for two-thirds of our 20 bestsellers including the euro and dollar and only marginal falls for the remainder.